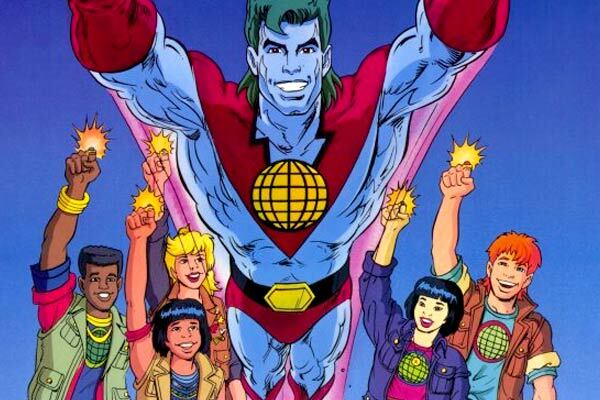 Celebrate Earth Day With A ‘Captain Planet’ Marathon! 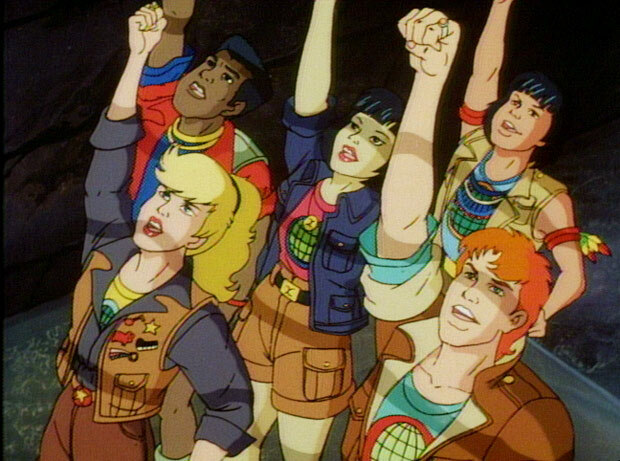 Get ready to celebrate the 42nd annual Earth Day with a blast from the past — a commercial-free 14-hour, 28-episode marathon of Captain Planet and the Planeteers! That’s right, Cartoon Network’s Boomerang is hosting a marathon of the animated environmentalist television series right now. The show follows the story of five Planeteers from around the globe, with magic rings letting them control the elements. There’s Kwame from Africa with the power of earth, Wheeler from North American with fire, Linka from the Soviet Union (then Eastern Europe) who can control wind, Gi from Asia who controls water, and Ma-Ti from South America who rounds it all out with some heart. When things get too complicated, they can combine their powers to summon environmental superhero, Captain Planet, to take care of those Eco-Villians! “Trouble on the Half Shell” – 6 a.m.: Hoggish Greedly and Verminous Skumm are shipwrecked on one of the Galapagos Islands, where some of Skumm’s mutated rats start stealing eggs from an endangered tortoise nest. The eggs soon also are contaminated by pollutants, and hatch a new breed of aggressive mutant tortoises, which threaten to wipe out the ecosystem. With the help of JASON, a robot remote-controlled by a kid at a New York museum, the Planeteers and Captain Planet must put an end to the destruction. “Plunder Dam” – 7 a.m.: Looten Plunder dams off an African village’s river and offers the people electricity to improve services the river once provided, and some luxuries. The Planeteers realize that this means severe loss of fish-life and animals becoming wild with thirst, especially since Plunder has blocked the water he didn’t dam up. The villagers cannot survive long without the river, so Captain Planet is summoned to help save the eco-system there. “A Hero For Earth” – 8 a.m.: The Spirit of Earth, Gaia, is woken from a century-long sleep to discover that Earth is dying because of humans’ carelessness in deforestation, pollution and over-hunting. She sends a quintet of rings out to five youths around the world as newly-appointed Planeteers. When they combine their new individual powers they are able to summon Captain Planet. “Skumm Lord” – 8:30 a.m.: Verminous Skumm creates a substance that, when placed in water, will mutate its drinker into a rat-resembling character who willingly serves him. The Planeteers go to stop him, but Wheeler falls into a vat of it, and Linka and Gi are splashed, so the others must hurry to recover an endangered plant Ma-Ti’s friend the Shaman believes may cure them. Meanwhile, Skumm plans to place the liquid in Ma-Ti’s village water supply, then the Amazon to infect the country and perhaps even the world. “Mission to Save Earth” – 10-11 a.m.: In this one-hour special, villains Looten Plunder, Dr. Blight, Verminous Skumm, Duke Nukem, and Sly Sludge team up to defeat the Planeteers by getting powers similar to the ones they steal from their rings. Armed only with their brains and technology to substitute for their powers, the Planeteers must recover their stolen rings, summon Captain Planet, and defeat the team of polluters from destroying the world. “Jail House Flock” – 6 p.m.: After Hoggish Greedly sneakily obtains a permit to build houses near wetlands, Captain Planet and the Planeteers are framed and thrown in jail. “Teers in the Hood” – 7 p.m.: The Planeteers try to put an end to a cycle of violence and bring a message of peace after Gi’s friend is almost killed in a gang war. Next Next post: Style Spotlight: Add A Pop Of Color!